EIGHTY years ago today, Cumann na nGaedheal (CnaG) had its inaugural public convention in the Mansion House. The Civil War had not yet ended and a large military contingent protected the ministers and deputies among the 150 delegates present. The idea of the new party was to give form, coherence and a name to the Pro-Treaty section of Sinn Fein deputies who now had responsibility for governing the fledging Irish Free State. In the August1923 general election, CnaG under WT Cosgrave secured 39 per cent of the popular vote, a high point not to be reached again until 1981 when the successor party, Fine Gael, achieved 39.2 per cent. CnaG did not have a majority of elected deputies. It retained power up to 1927 only because Eamon de Valera and his followers remained outside the Dail. From 1927 to 1932, Cosgrave’s party (as it was popularly called) had a precarious tenure of government. 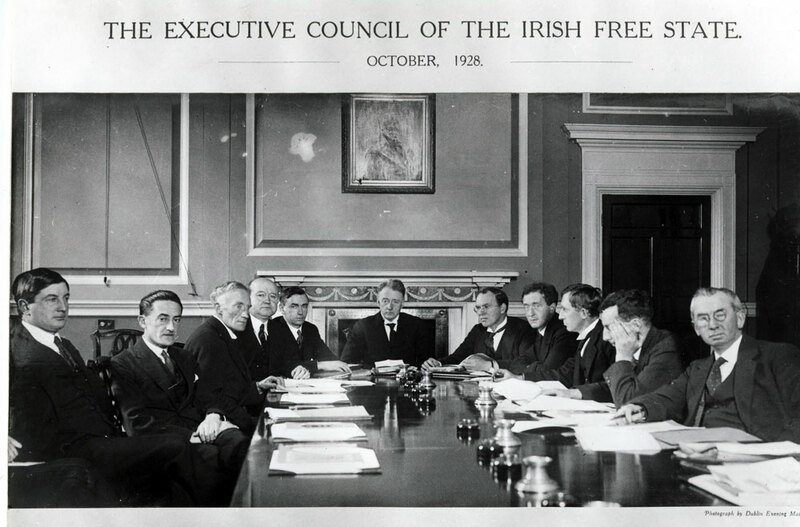 From 1932, CnaG or Fine Gael was never again to enjoy power as a single-party administration, though it was to govern intermittently in coalition. In all, it savoured the fruits of office for only 28 of the State’s 80-year existence. CnaG lacked unity of purpose, a homogeneous membership and grassroots organisation. It was a parliamentary grouping before it became a political party. At election times it depended on so-called ‘local noteables’ and amateur workers. It had little savvy in anticipating or gauging popular reaction to its often severe measures. Its political opponents made sure that “cutting a shilling off the old age pension” in 1924 would enter and remain in the negative folklore. Cosgrave’s description of the Anglo-Irish Financial Settlement of 1925 as a “damn good bargain” was hung around his neck as complacent acceptance of partition. In the still intensely nationalist Ireland of the 1920s and 1930s, CnaG was caricatured as a top-hatted, pro-British, out-of-touch party, and it was castigated for its repressive treatment of republicans. It was never amatch forthe populist strategy of Fianna Fail. CnaG’s conservatism was intensified by the adherence of various groups who had never supportedthe SinnFein resurgence. The common proTreaty label covered a wide range — Michael Collins-stepping-stone-men, old Redmondites, former unionists and that wealthy middle-class Catholic elite that continues to wield power and influence when the smoke of revolution clears away. The Hogans, FitaGeralds, McGilligans and O’Higginses constituted an old boys network that coexisted rather uneasily with peoplemore representative of plain Sinn Fein like W T Cosgrave, Michael Hayes and Richard Mulcahy. Mulcahy’s phrase “the Ballsbridge Cornplex”, like the later “Donnybrook Set”, well described the upper echelons of the party. CnaG initially did very well in Dublin and received support throughout the country from the socially superior, the respectable’ professions, large farmers and merchants, and ‘old money’ generally. CnaG also evinced the stern integrity of founding fathers everywhere. It opposed the machine/Tammany Hall politics endemic in local government and it abolished the corrupt Dublin Corporation. In the sphere of public morality, particularly sexual morality, the CnaG administration enacted the Catholic ethos into law, in the areas of censorship and contraception for example. It was not so much a matter of ministers being subservient to Catholic prelates. They were really implementing the genuinely felt convictions of their upbringing and education, as well as reflecting popu1ar sentiment at the time. (The same religious culture ‘was shared by Christian Brothers lads and old Clongownians so that Fianna Fail, despite their republican’ credentials, proved to be, if anything, more clerically deferential and ingratiating than CnaG.) Cosgrave s government ended the granting of divorce through private bills in parliament, thereby prompting WB Yeats to make his patronising and pompous we are no petty people” Senate speech. In fact, much of the ‘moral’ legislation of CnaG had the tacit support of the other Christian churches. The Intoxicating Liquor Act of 1924 restricted pub opening hours: Kevin O’Higgins, thou shouldst be living at this hour, Ireland hath need of thee! In this, and similar respects, ‘moral’ legislation also reflected the political values of Sinn Fein and its divided offspring. The aim here, though imperfectly realised to say the least, was to establish a kind of ‘republic of virtue’. After all, it had long been a dominant feeling in Irish nationalism that it would be “righteous men” who would “make our land a nation once again”. On a major anniversary occasion, it is appropriate to recall CnaG’s services to Ireland. It is a truism (but then all truisms are true) to observe that Cosgrave’s government put the institutions of the State on a firm footing against a background of post-Civil War chaos. Creating an Unarmed police force in such circumstances was courageous and visionary. By dealing flrmly with militarists, particularly in its handling ofthe so-called ‘army mutiny’ of 1924, the CnaG administration vindicated the superiority of the civil power, the sine qua non of democracy. The party’s economic policy was unadventurous to the point of inertia, yet great foresight was shown in carrying out the Shannon Scheme and developing the Electricity supply Board. In its relations with Britain, the Commonwealth and the wider world, CnaG made great strides in advancing Collins’s stepping-stone-to-independence strategy, as is evident from recently published volumes of foreign policy documents for the period. Cosgrave’s government also facilitated democratic development in encouraging de Valera and his followers to come into parliament out of the abstentionist cold and thereafter in its readiness to smooth the transition to power of the erstwhile Civil War enemy. Above all, Cumann na nGaedhael gave the lie to the old Tory racist propaganda that Paddy was not fit to govern himself.